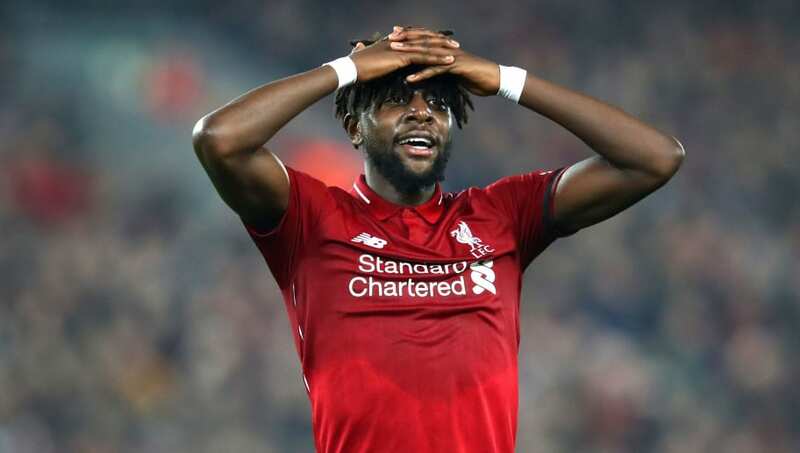 Jurgen Klopp is said to be willing to offer Divock Origi a fresh deal at Liverpool after the Belgian forward has blown the German manager away with his application on the training ground. Origi became a peripheral figure at Liverpool and was tipped to be on his way out of the club last summer after he failed to impress on loan at Wolfsburg during the 2017/18 season. However, the 23-year-old has been able to turn his fortunes around, making a number of important contributions for the Reds this season - including a dramatic winner against Everton in December. According to ​Football Insider sources, Klopp has been thrilled with ​Origi's attitude and is willing to extend his current contract, which is set to expire in 2020. Origi's performances on the pitch have also helped his case, as he has now appeared in nine of ​Liverpool's previous 11 matches. He's also risen above both Xherdan Shaqiri and Daniel Sturridge in the pecking order, demonstrating how highly regarded he is at Anfield. If Origi opts to reject the terms offered to him in favour of more regular first team minutes elsewhere, then he is likely to be sold in the summer transfer window. Klopp has already voiced how pleased he has been with Origi this season, telling Liverpool's ​website: "Div is doing well, really well in training. “You're right that he didn't have the best time as a football player or as a human being [earlier in the season], not being involved much and all that stuff. “For sure he felt the impact of that for a while but then he came out of it. For a long time now, he's really trained on a high level.